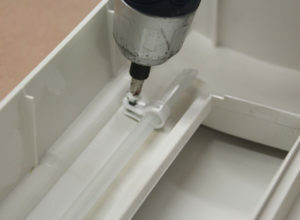 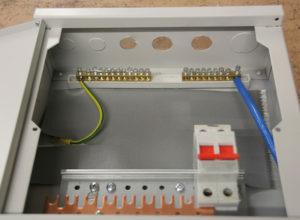 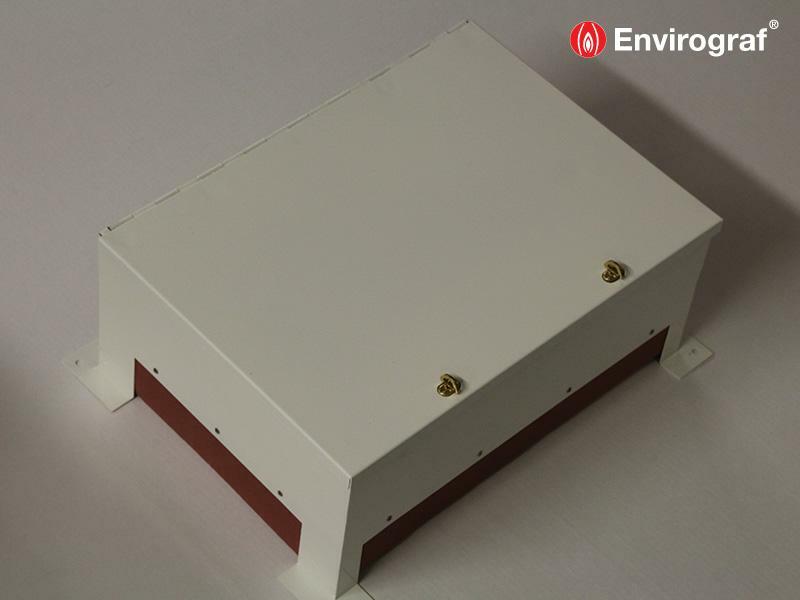 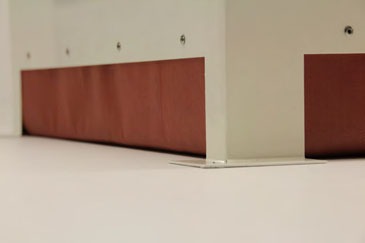 A metal enclosure lined with intumescent cloth which is fixed around existing plastic electrical consumer units. 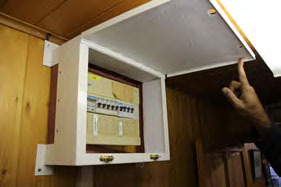 IET Wiring Regulations state that all consumer units must be either constructed of non-combustible material, or enclosed in a cabinet or enclosure constructed of non-combustible material. 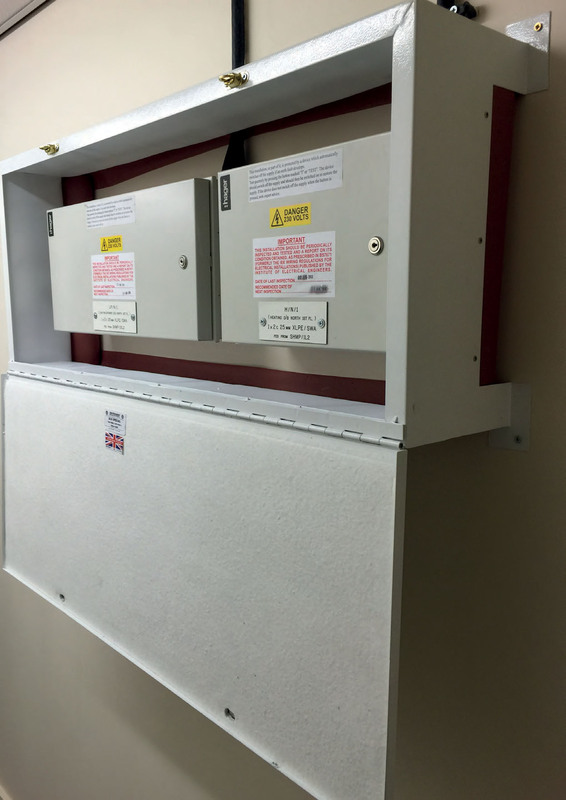 This unit is an effective and economical way to bring existing combustible consumer units in line with regulations without the need to replace them entirely. 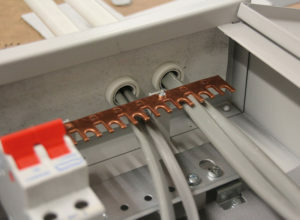 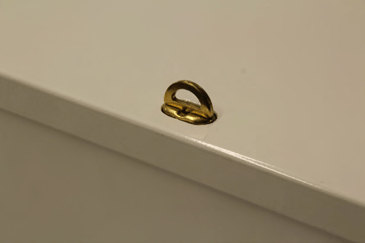 minimum clearance on all sides for connections. 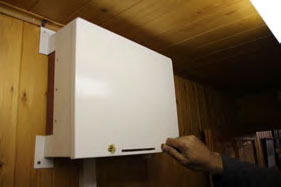 Tested to BS476 Part 22 (1987).